An Open Letter to the. 2.Worthy Director_General Police of J&K. 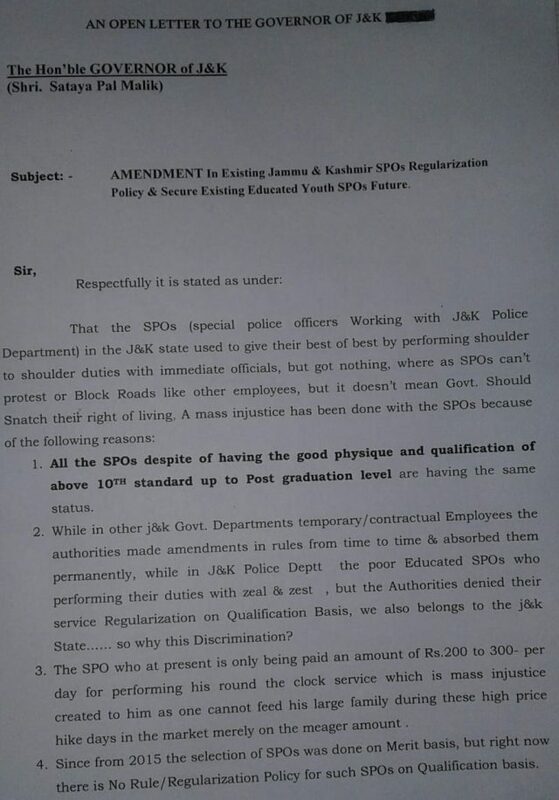 Subject:- Amendment in Existing Jammu & Kashmir SPOs Regularization Policy & Secure Existing Educated Youth SPOs Future. 1. All the SPOs despite of having the good physique & Qualification of above 10th Standard up to Post-Graduation level are having the same status. 2. Since from 2015 the selection of SPOs was Done on merit basis, But right now there is No rule/Regularization Policy for such SPOs on Qualification Basis. 3. The SPO who at present is only being paid an amount of Rs.200 to 300 per day for performing his round the clock service which is mass injustice created to him as one cannot feed his large family during these high price hike days in the market merely on the meager amount Rs 200 to 300 per day. 5. So many SPOs are at the brim of crossing the age bar & for those SPOs ,the Government has not planned for their fate, due to which the career & future of the poor SPOs have been marred. 6. The SPOs who are even having more than 10years of service at back have not been regularized yet. 7. That SPOs are not given any credit or any reward/ award for his bravery who at the cost of his life used to fight with ant-national elements / anti-Social elements for the sake of Nation merely on the Meager Pay/wages of Rs 200 to 300 per day. So many SPOs have lost their precious lives & so many SPOs have become disabled due to victim of bullet but neither the Police Deptt. nor the State Government have given any welfare to such SPOs. 08.Previous Governments denied, barred J&K innocent educated Youth SPOs Regularization on Qualification basis. 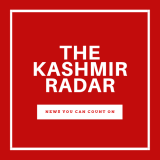 In view the above mentioned facts & circumstances, it is there prayed that in the interest of Justice, this representation of SPOs of J&K state may kindly be allowed & admitted & the concerned quarters be directed to make #Amendments in Existing J&K SPOs Regularization Policy & regularize them in the Police Deptt. 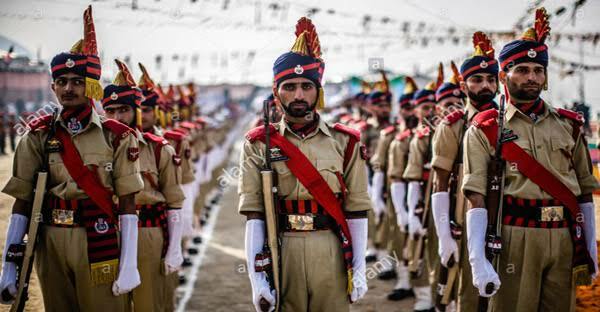 preferably consideration for regularization to those SPOs be given who have completed at least 5 years of service or more with all the Benefits & status as is being given to the regular Police official. The Concerned authorities should set-up/ frame a time bound for making regularization Policy effective in this behalf, so that SPOs service will be paid Off. Your kind intervention at this crucial stage can prove a God sent blessing to relieve us from darkness. Please Help!